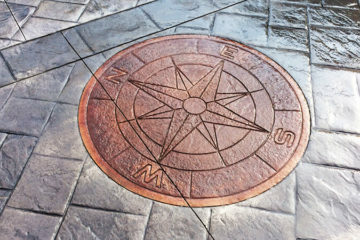 Welcome to Palermo Concrete, Inc.
source for the highest quality stamped concrete work. Palermo Concrete Inc. is a family owned and operated business that has served Rochester, New York for over 25 years with quality concrete work. Specializing in both Commercial and Residential concrete jobs, Palermo Concrete Inc. has built a reputation for quality work at a fair price. 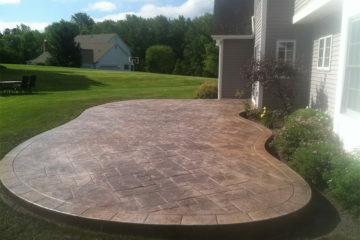 For the past several years, Palermo Concrete Inc. has specialized in stamped concrete work. 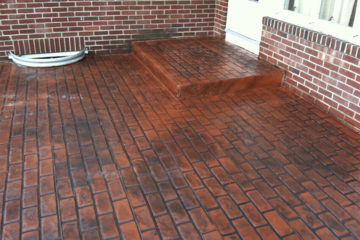 The beauty of stamped concrete can be seen in the many jobs we have produced over the past few years. Please view the many photos contained on our website for samples of the quality work we've produced. Palermo Concrete does fantastic work! They completely changed the look the of our backyard by putting in a stamped concrete patio. Their prices were better than other companies and their quality of work, level communication with us, and follow through was well beyond what we expected. Palermo did an excellent job! Superb customer service and fantastic workmanship. They included us in the design/layout we wanted and kept as clean a site you can keep with concrete. We can't wait to use our new patio!! They were amazing! Fast , professional and we love our new patio!! Thank you!!! These guys are awesome. Completely transformed my back yard!! © 2016 Palermo Concrete, Inc.